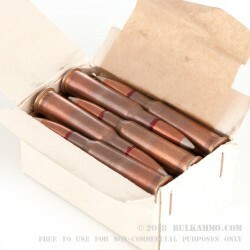 The .357 Sig cartridge was designed in Switzerland using the 10mm parent case. This highly prized load was conceived and brought to life in 1994 by SIG SAUER and Federal Ammunition to provide an additional option for Law Enforcement Officers besides the 9mm Luger, 10mm, 45 ACP (Automatic Colt Pistol), and .40 Smith and Wesson rounds. Multiple U.S. 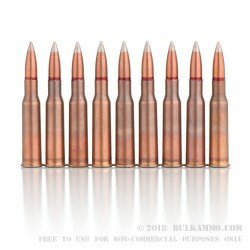 Agencies are using the .357 SIG cartridge currently, and quite a few more are looking at this load for its capabilities. These 357 Sig cartridges have heavy walled, high polished, Boxer primed, new, reloadable, brass shells that use the American Eagle 125 grain FMJ (Full Metal Jacket) .357 SIG bullet in each one. These beasts’ tears through the air with a muzzle velocity of 1350-feet per second, which is typically 200 to 400 feet per second faster than most .40 Smith and Wesson loadings. On top of that, the muzzle energy of this 125 gr .357 Sig load hits with 506-foot pounds of authority. 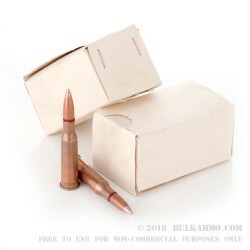 These rounds come in the easily recognized red American Eagle 50 round boxes, and with 20 of those iconic boxes for you to shoot or stock up on. Get yourself a case or 2 today and set a new standard among your friends for being the first to shoot the coolest pistol rounds. 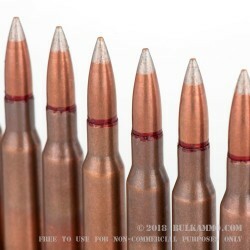 Used in my Mosin-Nagant, no problems at all. Q: Does this always come with the can opener? 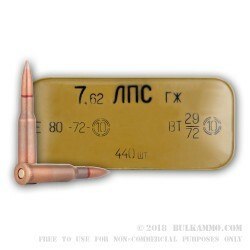 A: Unfortunately the manufacturer has not included any can openers for this 7.62x54r ammo. 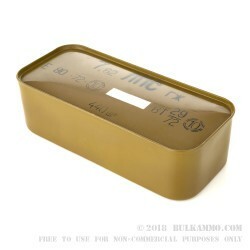 Usually the modern production runs of tin cased ammo from Tula's handgun line of ammo will include these openers. We have found a flat screwdriver and a hammer to be an effective and safe method for opening this can. 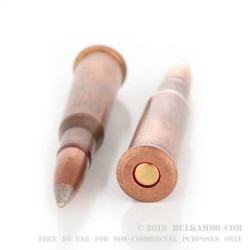 Q: Is this ammo corrosive or noncorrosive? 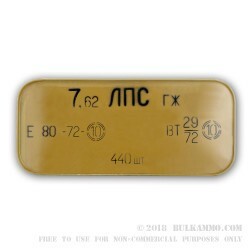 A: This Bulgarian surplus ammo does contain components with corrosive properties. A general cleaning of the rifle will remove any corrosive residue left behind from shooting. We have found this ammo to be consistently accurate and reliable. This is a great choice for your hunting or target practice needs.